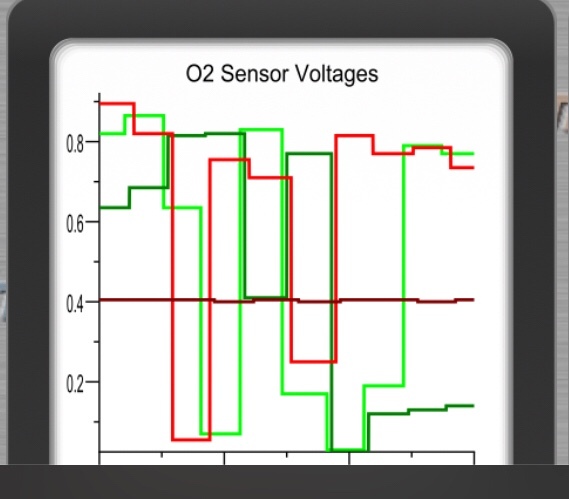 The DME can only guess at if the heaters are heating fast enough by looking at the o2 values. I would say you have a mixture, or cat problem. Ok now this is interesting. The bank one is green the bank to is red pre cat bright post cat dark. I was already going to replace 2-2 because it was already reading funny compared to the just replaced 1-2 but now it's just stuck at 0.4v. Anyhow after this "test run" noticing the drastic difference between the old and new sensor readings I will replace in pre/post pairs. The sensor outputs and fuel trim (both short and long) all seemed to be proper. YOU DO NOT HAVE THE SAME PROBLEM! The OP has trouble with Bank1, Sensor2, that's the after-CAT sensor. You have the pre-CAT sensor error. The Heaters come on with Cold Engine Start, and remain on during Secondary Air Pump operation, which is about 2 to 3 minutes. 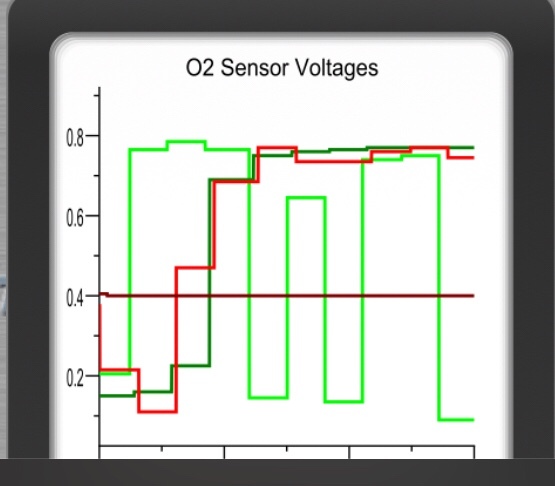 The thing is, the CATs and the O2 Sensors do not work well when cold. They eventually warm up due to the exhaust stream, but before the exhaust heats things up, the sensors and CATs don't work very well and the pollution that comes as a result is a problem for the Smog Police. It's not a problem for any individual car, but it's a huge problem for the fleet. Does that make sense? Heaters are binary, they are either on or they are off, they are not on part way. You do not need to produce a graph. You can use your meter to ohm the heaters for continuity, not open or shorted. If the heaters are good, then you switch your meter to volts and measure the voltage supplied, it should be 12v. Pins 1 & 2 of the sensors (all of them) are the signal that comes out due to the act of reading the contents of the exhaust stream. Pins 3 & 4 of the sensors (all of them) are the wires to the heaters. The heaters are driven by the DME. Bank1 is the bank that has the #1 cylinder, Bank2 is the bank that has the not #1 cylinder. On the inline sixes, Cylinder 1 is easy to find, on a V8 or V6 (not applicable to a BMW), #1 is not so easy to find. Although it should be the same on all engines from the same company. On my Ford with the Triton V8, #1 is on the right hand side of the engine. I don't know which side of the engine is #1 in your BMW, but #1 is always the forward most cylinder, so you can look at the engine to see which side is more forward than the other. Last edited by andrewwynn; 03-02-2018 at 04:24 PM.